This bright orangey-red dress is really fun for work and beyond. This dress isn’t my usual style at all, but I love that it’s such a wearable take on a bunch of trends right now. 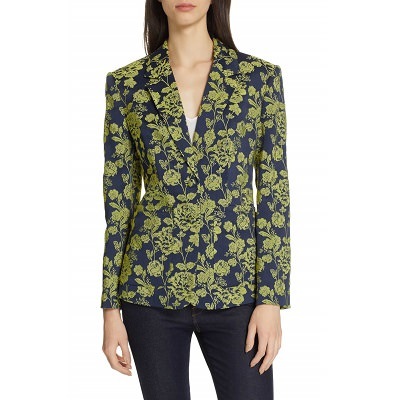 Here’s one of the many floral blazers available right now — I especially like this color combination. 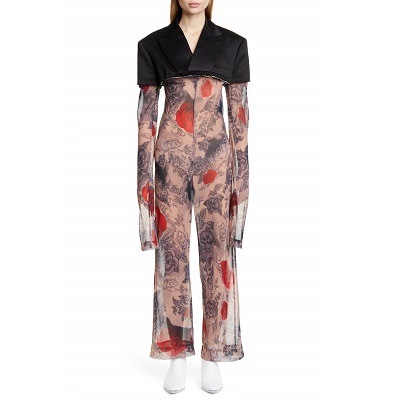 This would make the perfect structural statement piece for your wardrobe. 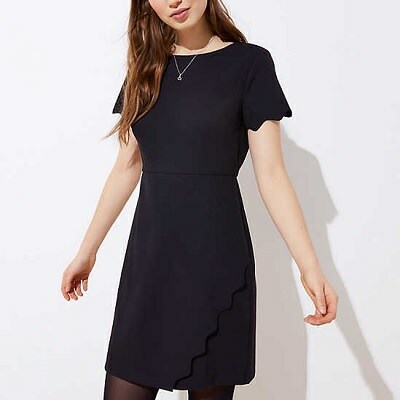 This dress comes to under $20 with all the markdowns — and it comes in regular and plus sizes. 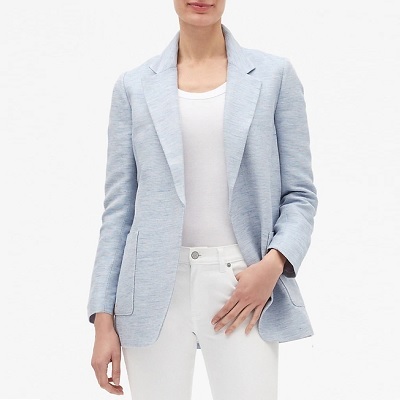 This linen blazer is checking a lot of boxes for me, particularly for a “so versatile it lives at the office” blazer. I’m liking all the scallop details I’m seeing out there now! 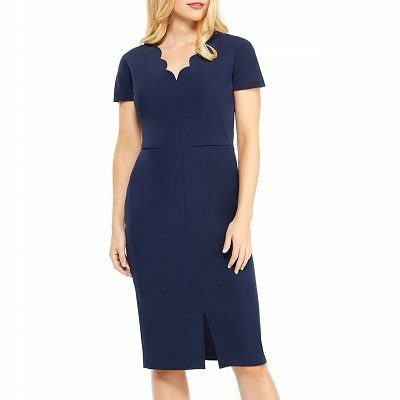 The sleek, cool vibe of this dress makes it perfect for desk-to-dinner. 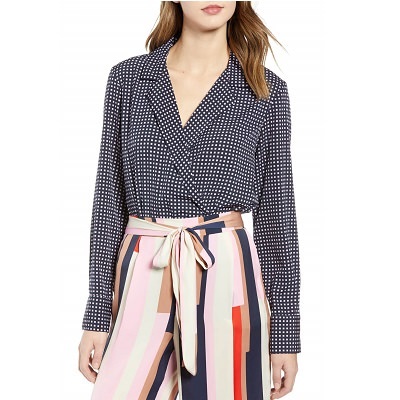 Jumpsuits have come such a long way — and the cotton blazer detailing makes this 100% work-appropriate. 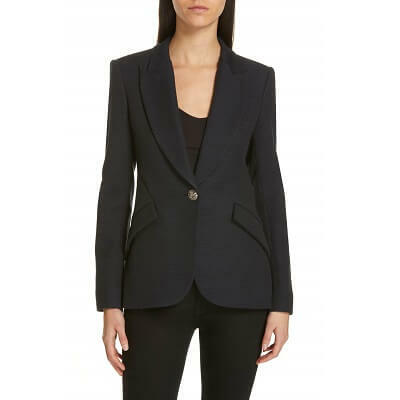 With its faux wrap style, wide lapels, and wide cuffs, this bodysuit looks very fashion-forward. 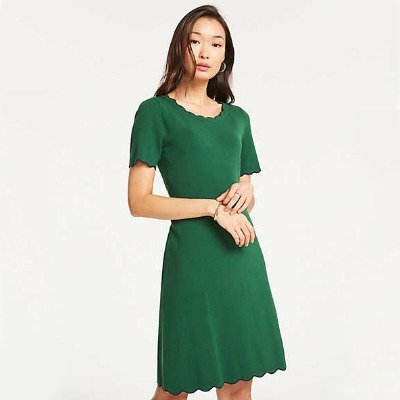 Depending on where you live, you still have a little time left to wear a sweater dress — and this one is machine washable and 40% off. 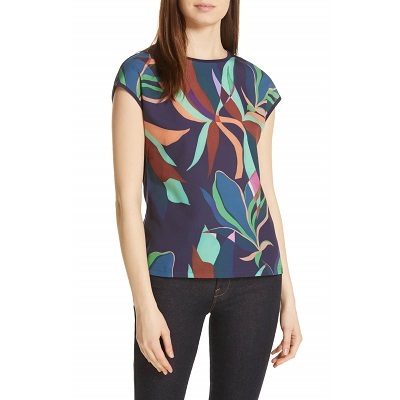 The floral print on this elevated t-shirt is unexpected and different.